Ronald is a Senior Support Consultant at WiSys. Ronald has a strong Supply Chain and Warehouse Management background with specialties in operations, production, distribution, warehousing and compliance. Before joining the WiSys team, Ronald oversaw the implementation of the Wisys Warehouse Management System for a chemical manufacturer. The system streamlined business processes and the company saw a 40% increase in warehouse, production, manufacturing, and logistics productivity and 99.9% inventory accuracy. Ronald placed third in the 2015 American Production and Inventory Control Society Northeast District Case Competition, where teams proposed a solution to a case study using the APICS best practices of supply chain management. His team ranked first in New Jersey, defeating both Rutgers University and Seton Hall University. 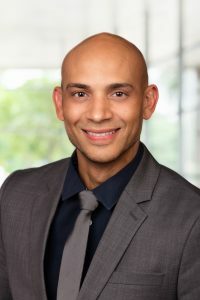 Ronald has a Masters in Business Administration and Technology Management from the New Jersey Institute of Technology and is a Certified Supply Chain Professional (CSCP).